As the beginning of Autumn draws closer and the NFL preseason begins, fantasy football managers across the county begin their comprehensive draft preparation. It’s common practice at this point to begin scouring through hundreds of player profiles and projections, engaging in several mock drafts, and exhausting every resource possible to get an edge on your competition. There’s a method to the madness of forming an all-star roster, and there are many strategies here that employers can adopt when hiring best-fit talent for their companies. Below, I’ve listed a few of the most integral parts of the process, just in time for the season. Successful hiring begins with prioritizing the importance of the roles you are trying to fill. In an effort to stay proactive and adaptable, it’s in your best interest to begin utilizing applicant tracking software to capture passive candidates and nurture the talent funnel for future hiring needs. There’s a saying amongst fantasy football managers that goes “championships are won on draft day”, this same principle applies to attracting and hiring best-fit talent. You’ve got to win the war for talent on the frontlines with an applicant tracking system to have any hopes of continued success. 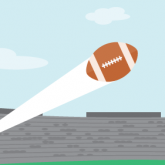 It’s easy to lose yourself in the endless trove of statistics and data in fantasy sports, but there’s no question they help to make better informed projections while setting forth a reliable blueprint for a successful strategy. This is very similar to the metrics that recruiters should monitor for maximum efficiency with their talent acquisition efforts. Whether they’re referring to source-of-hire, to ensure that they’re strategically posting jobs to the websites that deliver the most quality candidates, or time-to-fill, to provide a realistic gauge on timelines to fill open positions, these metrics can help correct flaws in your recruitment strategy you didn’t even know existed. You’re not going to draft more than two quarterbacks this year, just like you shouldn’t hire several candidates with identical skillsets. Your roster composition is vital to your success, and an organization with an abundance of diverse skillsets will prosper and likely sustain success year after year. One large factor often overlooked is the importance of a deep bench. In the world of fantasy sports, injuries, BYE weeks, or prolonged absences from players are just part of the game. It’s your job to compile your roster with suitable replacements, or ‘handcuffs’, that are ready to handle the responsibilities of the starters before them. In the office, this may look like needing to backfill a key position or hire for a newly created position. Ensure you build a strong team to step up and help meet business goals when these events happen. There has never been a fantasy football champion who didn’t possess at least one of the league’s top players. It can’t be overstated enough, you need superstars on your team if you’re going to win, even if it means reaching over the ‘safe’ pick. Yes, superstars carry a much higher risk-reward factor than your average hire, but they can ultimately be the distinguishing factor between just a competitive team and a champion. They’ll often come to your organization battle tested with an impressive background, but most importantly, they have that ‘It’ factor. Even if you don’t quite have a spot available that will maximize their talents, you need to make room for them. It’s okay to reach for a superstar and stash him until it’s their time to shine, look no further than Aaron Rodgers. The payoff can be immeasurable! The similarities between fantasy management and talent acquisition are endless, but like anything, it comes down to execution. Once you’ve got your all-star team assembled, the line-up is locked and ready to go for Sunday (and the rest of the week).